Terrorism Watch & Warning provides intelligence, research, analysis, watch and warning on international terrorism and domestic terrorism related issues; and is operated by OODA Group LLC that helps clients identify, manage, and respond to global risks and uncertainties while exploring emerging opportunities and developing robust and adaptive strategies for the future. 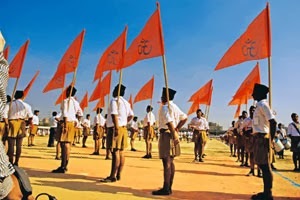 Although the company had included RSS in its ‘Threat Group’ in April 2014, the post seems to have been modified after the BJP led government assumed power at the Centre. Apart from the RSS, Terrorism Watch has also put Naxalites, People’s Liberation Army (PLA) and Students’ Islamic Movement of India (SIMI) among others in the category of ‘Threat Group’. The Terrorism Watch & Warning database contains over 1,00,000 Open source intelligence (OSINT) excerpts from 1999 to present on terrorism and security related issues, attack database of over 10,000 attacks, original terrorism analysis, terrorism document repository, Homeland Security Fact Sheets and profiles over 500 Terrorist/Threat Groups.